Beginning just three and a half years ago, with only three members, Auspeak is at the hub of Sydney’s language and cultural exchange between Australia and Japanese people. 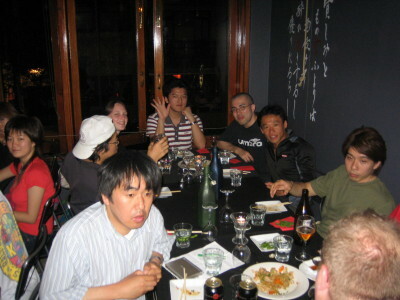 Meeting in a safe and casual context in a central Sydney Hotel, Auspeak is a friendly social gathering allowing Australians and Japanese to practise speaking Japanese and English, respectively. However as its members will attest to, Auspeak is much more than just a fortnightly language exchange event. More importantly it promotes cultural exchange and understanding and is a testament to numerous long standing inter-cultural friendships. 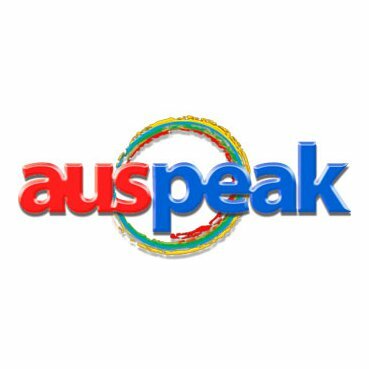 Now with a regular attendance of about fifty people, even the founder John is astounded at the growing success of Auspeak. “I started it because after returning from living in Japan, my Japanese friends in Sydney kept complaining they had no opportunity to meet locals. And I too wanted to keep up my Japanese so I wouldn’t forget it upon returning home.’ And so began the simple yet effective concept of Auspeak. The meetings follow a constructive formula, where half hour time slots are alternated between English and Japanese, ensuring all participants can practise their language of choice. With no monetary membership fee, all are welcome and all that is required is a smile! Upon arrival members are given a short bilingual printout, which they are encouraged to fill out with five new words they have learnt from that day’s conversations. And of course the most important rule is to mingle! Interacting with lots of new people and engaging in interesting, often humorous conversations is all part of the fun! Auspeak sees an eclectic mix of participants. Sprawling across half of the ground floor area of a popular Sydney Hotel, there is always a constant flow of lively chatter. At times it seems like a party, with people almost screaming over raucous laughter and excitement in order to remain audible! Miyuki Sato, a second timer at Auspeak, loves this casual and fun way of learning compared to the formal environment of her Sydney Language Institute, where she studies English on a daily basis. “I like meeting and talking with Australians so I can learn natural English and it’s fun here! Last time we went and tried salsa dancing after class together!” As evidence she is learning useful every day idioms, one of her newly learnt phrases of the day was “spread the word”, which ironically epitomises exactly what she has done since discovering Auspeak. Australia is renowned as a desirable destination for foreigners wanting to learn English, Sydney is often advertised as a city of golden sandy beaches, a picturesque harbour and cute cuddly koalas enticing thousands of temporary and permanent Japanese visitors yearly. But perhaps more importantly, Auspeak ensures Japanese people in Australia experience something which can’t be advertised on paper, an authentic Aussie Sunday get-together, chatting over a drink and having a laugh. No wonder Auspeak is the talk of the town!